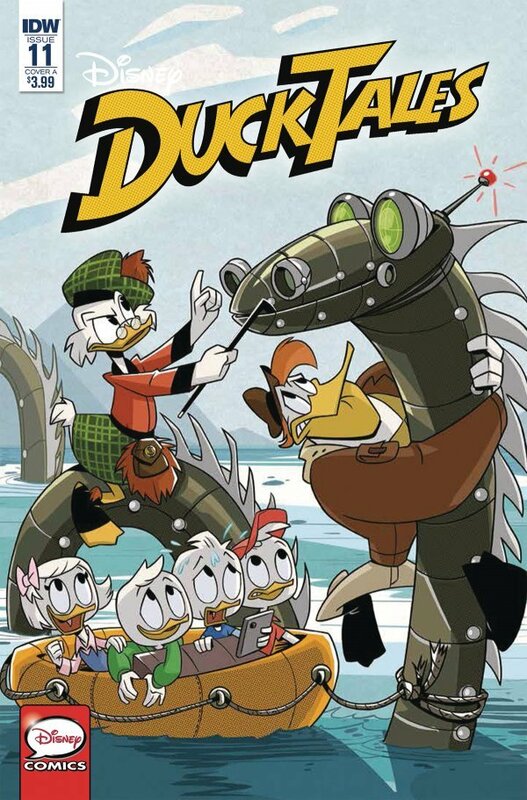 Some thoughts on Ducktales #11 & Teenage Mutant Ninja Turtles #85 out this week from IDW Publishing – digitally and in print! A Horror In The Highlands has Scrooge going to his roots. Back to Scotland, but there is a problem – no-one believes that he is Scottish! What follows is a fun read and a look at Scrooge’s Scotland. It’s got Lochs, monsters and highland games too. There is a small sub-plot for the highland games and they have a good link to the main story. This was a fun and fast read, and I hope Scrooge comes back to his roots soon! Nightmare On Bear Mountain has some interesting twists. It hearkens back to a previous (unseen) Scrooge adventure. Scrooge has a nemesis, and he’s out to collect. Luckily this is a different Scrooge to when they last met! I nice read and the final panel was funny! 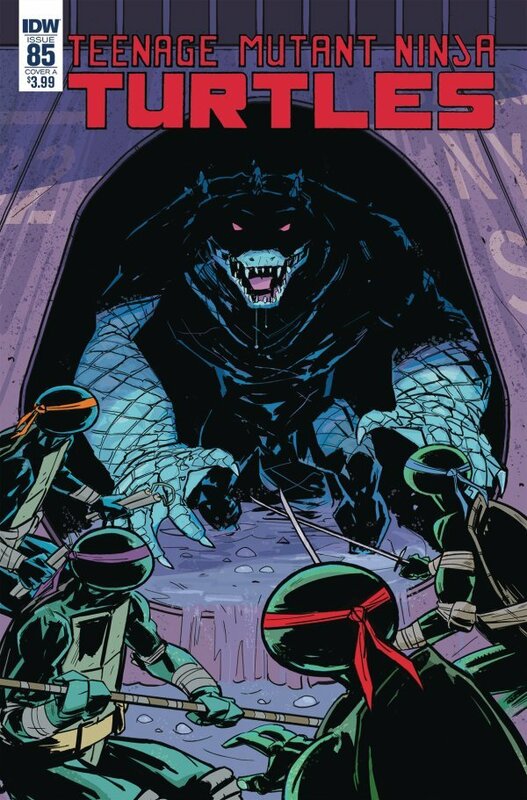 TMNT #85 kicks off with some nice interaction between April and Baxter. The mouser collection is going ahead, and Baxter seems to have a different sort of power in her mind. April makes a good point about the company being a possible conflict of interest, and I can imagine this playing out in the long run! Meanwhile the mouser has been taken out by something that isn’t a rat…. Casey seems to be getting more involved, which is interesting as I see some potential conflicts in his future. Back at the museum Leatherhead has made his appearance, and part of me thinks that he has a point. Leatherhead has other problems though – they are more on the mental side, as he is having real problems. This causes problems for the turtles and they are lucky for now! Finally we check in with Agent Bishop (no Splinter this issue!) and although he sees Leatherhead, he seems to have bigger targets in his mind!